Queen Anne Drop Leaf Table With MA History - Willis Henry Auctions, Inc.
During our April 16th, 2016 Antiques and Estates Auction we will be showcasing many fine pieces from many centuries, all with excellent history. 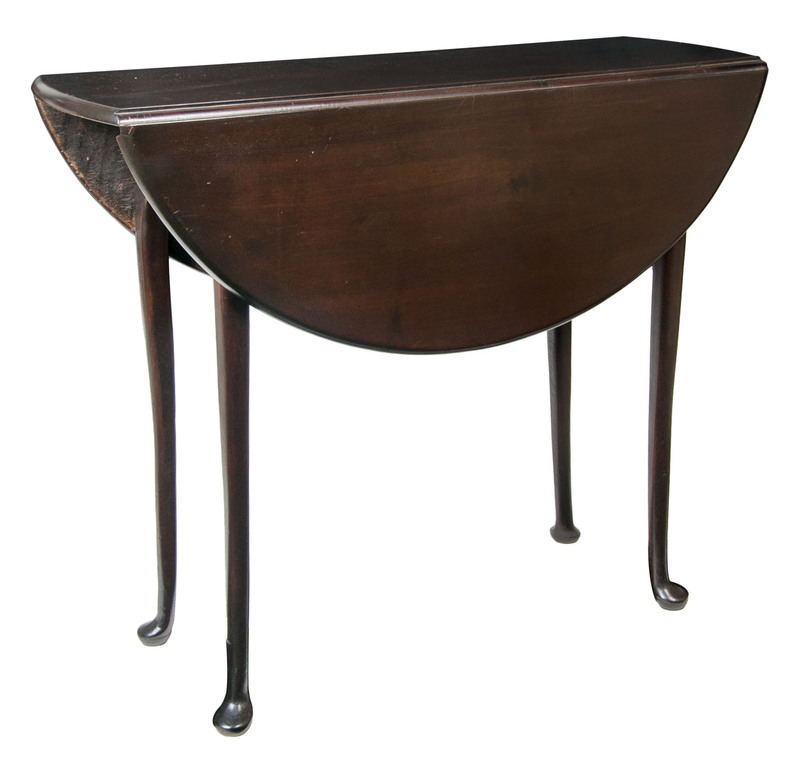 One example is this Queen Anne diminutive drop leaf table. Wonderfully formed out of mahogany and white pine, this piece dates back to sometime in the mid-18th century. 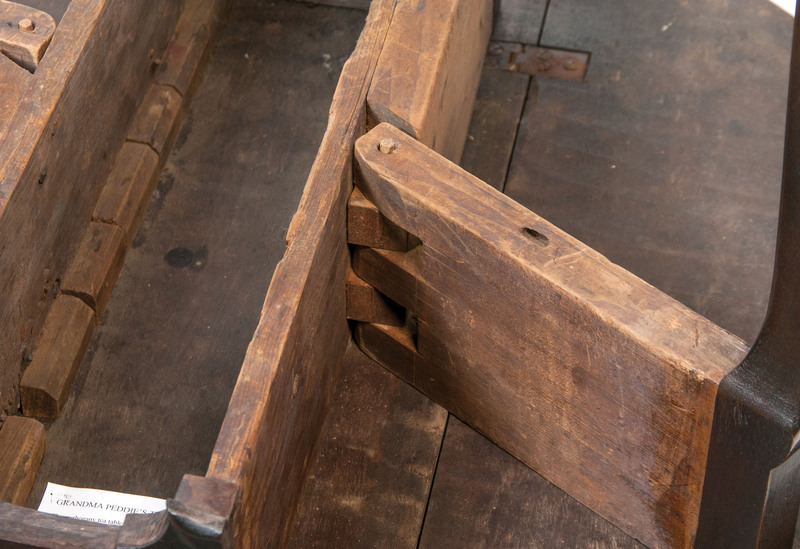 It was made in Boston, MA (possibly the surrounding area) and was purchased by a family firmly anchored in the annals of Massachusetts history. 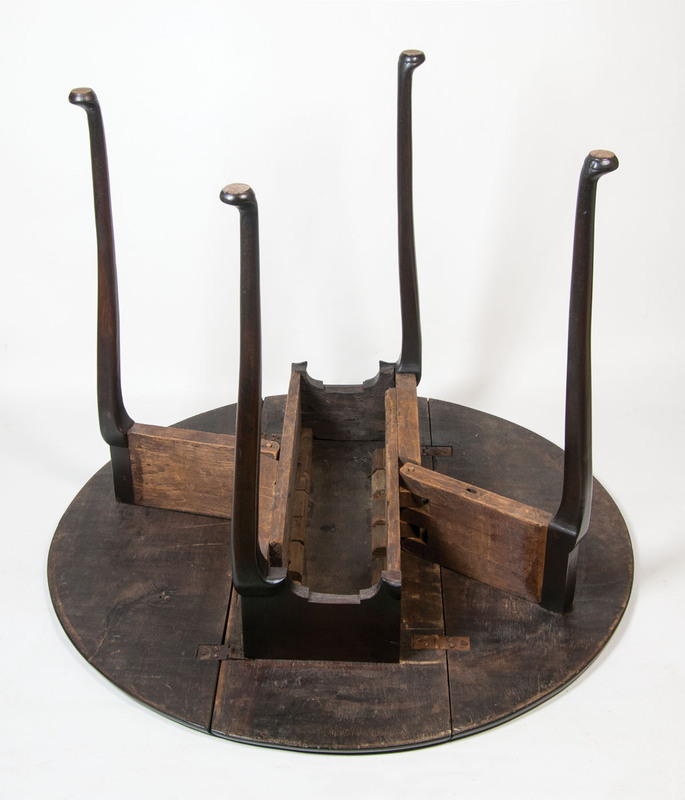 Simple, yet elegant, this table stands on gently carved cabriole legs with shaped and cut out ends. Descended through the Ames Family. Captain Myles Standish was the military advisor that came over to the New World on the voyage of the Mayflower in 1620. He, along with fellow passengers (including one John Alden), landed in Massachusetts and established Plymouth Colony. Standish defended the colony successfully on many occasions and eventually moved to nearby Duxbury, MA. John Alden first worked on maintaining the Mayflower when it was anchored off the coast of England and decided to make the journey to see what might await him in the New World. Alden ended up becoming the Assistant Governor of Plymouth Colony and served alongside Captain Myles Standish during skirmishes. Standish’s son (Alexander Standish) and Alden’s daughter (Sara Alden) were married and had eight children. One of these children, Miles Standish, would have a granddaughter named Experience Standish. Experience in time would marry Simeon Ames and one day be lovingly referred to as “Grandma Peddie”. 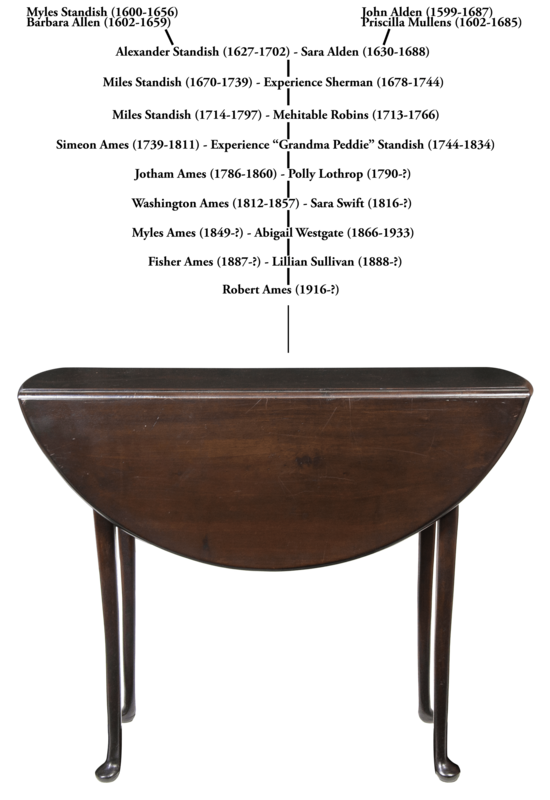 Sometime during Experience’s life, she would come across this Queen Anne diminutive drop leaf table. 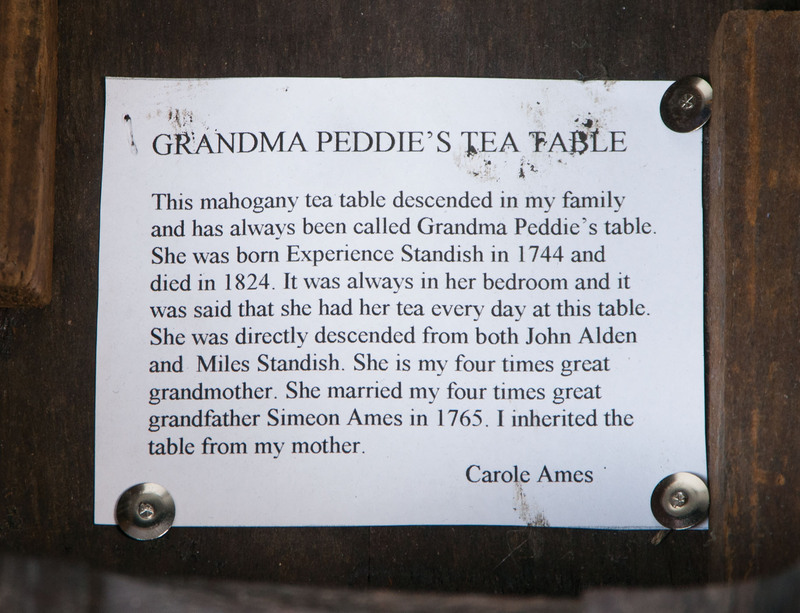 In her family it would be known as “Grandma Peddie’s tea table” and would be passed down from generation to generation until now. See below for a detailed provenance of this Queen Anne table. A detailed look at the genealogy that brought this important piece to the present. Be sure to check our site often as we will be updating with more information on some of our other excellent items coming up April 16th, 2016!